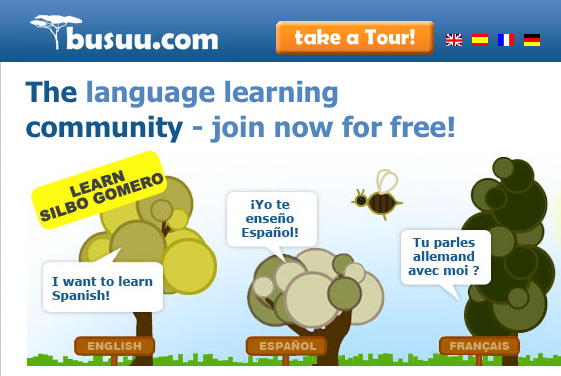 On Busuu, learning a foreign language becomes very easy with selection of right language and the time spared religiously towards learning a language. Learning a second or third language is very helpful when you are about to move offshore or looking at better business opportunities. For developing skills in a foreign language Busuu provides both free as well paid plans. The paid plans charge $18 per single month with minimum charges of $6.29 in case you book it for two years in advance. The free plan includes writing and reading exercises, interactive exams, and a video chat. You can pick any language according to your choice and aptitude. You can start the course by setting a deadline. With a red Go button on the interface for learning the language you can start your journey. There will emerge images for the phrases in desire language selected by you. The images on the course of tutorial are supported with crisp and clear voice. In meantime an easy translation as well is provided for the entire activities. After the initial learning next step of coaching is quiz based on the dialog in the language you are aspiring to learn. There are also many tooltips which at the same time brings the meaning of the dialogues in English as well. After that you are required to introduce yourself with the community by writing and briefing about self in the language trying your hands. This is sort of introduction to other members of the community. This increases interaction with other members of the society. In the end of each lesson, there is an exam to showcase one’s adaptability in the language to check the skill and further scope to learn in the mentioned language. The Busuu Android app is free can easily be integrated with a website. The app can be update for news lessons as well.